When you look at the firearms market today, the range of optics available to the new shooter can be a bit overwhelming. With prices ranging from $50 to well over $1000, factors such as budget and intended use are key issues when trying to decide which reputable manufacturer to choose from. If your needs dictate a close-range sighting option, red dot optics have been very popular for quite some time now. Offering a single point of focus and visible reticle throughout a wide range of exterior lighting, the red dot optic has a distinct advantage over traditional iron sights. Military, law enforcement, private contractors and civilians alike greatly benefit from the speed and usefulness of a quality red dot optic. The term “red dot” is usually used to cover three different styles of optic in which incorporate the afore mentioned red laser dot as part of the reticle, these are prism, holographic and reflex. Of the three types, the most popular of these styles is the reflex sight due to weight, cost and size. Reflex sights use a lens that functions somewhat like a mirror. The aiming point is projected forward onto a lens, which reflects it back and allows you to see the red dot. This type of reflex sight, commonly referred to as an exposed reflex sight, has a very distinct look. There is no tube-shaped sight, only a small, clear window that the user can see the aiming point on. 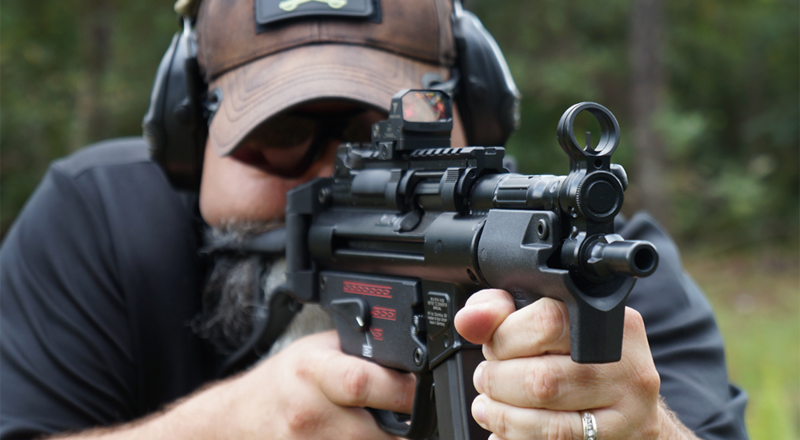 Recently, I had the privilege of testing a new red dot, the Nikon P-Tactical SPUR Reflex Sight. This sight was announced during this year’s industry only trade show in Las Vegas known as the SHOT SHOW, but it did not start shipping for sale until a few months later. Despite this optic being Nikon’s first attempt at an illuminated red dot reflex sight, I could tell right away based off having tested dozens of red dots in the past, the SPUR had a solid construction and well thought out design. 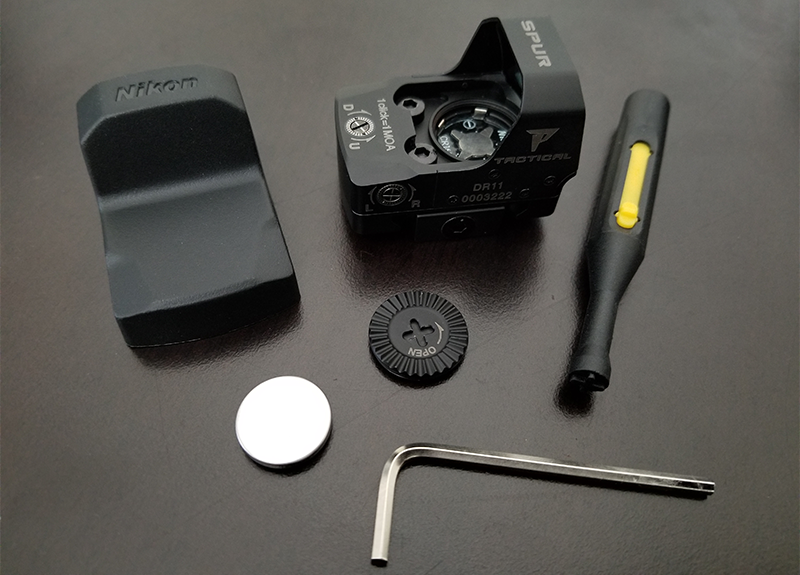 The optic shipped in a small bright yellow and black cardboard Nikon box and contained a lens cloth, CR1632 Lithium battery, an instruction booklet, Allen wrench, a rubber lens cover and a very handy windage and elevation adjustment tool. This tool doubled as a perfectly fitted screw driver for securing the battery compartment door. For anyone who has ever struggled with tightening a top mounted battery door on a red dot without scratching the glass, you would know how handy this tool truly was! To test such a wide array of firearms with the SPUR reflex sight, I took a trip down to On Target Sports located in Orange Park, FL. 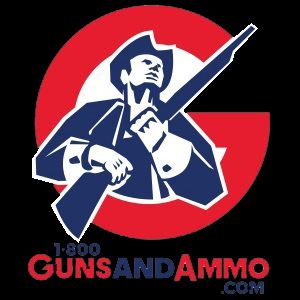 This indoor facility is a state-of-the-art range with a very friendly and knowledgeable staff such as their Range Safety Officers – Wayland and Brandon. Both these guys are military vets dedicated to helping others learn to shoot in a safe environment. The range manager, Tyler has always rolled out the welcome mat for any product testing our Swanson Media Group team wishes to work on. Once I got checked in and set up on a reserved lane, test shooting started at 5 yards and worked out to 20 yards. 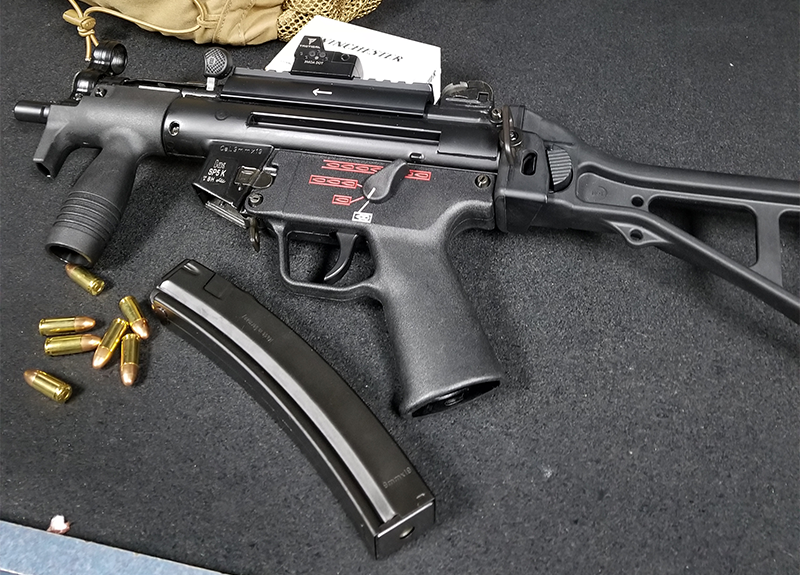 First up, a HK model SP5K which had been converted to a MP5K SBR complete with folding stock, tri-lug barrel and all 9.22 (r) compliant parts. The look and feel of this little rifle with the SPUR mounted to its Picatinny rail was simply awesome. 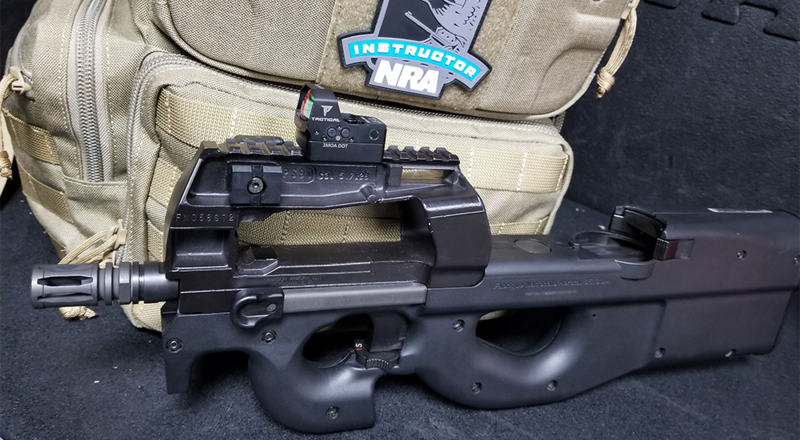 While the sight did block the factory iron sights, it positioned the red dot comfortably into my line of sight without having to turtle my head down to shoot. The wide glass allowed me to see everything down range using both eyes open viewing through the optic without the tunnel vision commonly associated with tube style red dots. In the low light of the shooting booth, I clicked the intensity setting of the optic down to about the 4th lowest position of its spectrum and could easily see the reticle and target behind it. Using the sight adjustment tool, I had to make a 10 left click change at 20 yards which roughly equaled with 1 click = 1 MOA at 100 yards for every adjustment, so 2 inches to center the dot. When shooting at 5 yards, I had to hold roughly 3” high to account for the bore axis offset which was a very easy adjustment to make on the fly shooting quick strings of fire. The optic tracked well and took no time at all to zero. I was very impressed with the combination. Next up would be a tougher test on the optic with the harder recoiling AK-47 platform. With the Troy Industries handguard rail mounted on my AK, the SPUR was mounted forward of the action above the barrel. The dot was clear and undaunted as the barrel underneath started to really get warm during the strings of fire. Magazine after magazine, the red dot held zero with great results. As I attempted to switch the SPUR optic over to my Colt AR 15 platform chambered in 9mm, it dawned on me this wasn’t going to happen. The SPUR is designed to sit low on the rail and offer a wide field of view, not tall as well. The A2 iron front sight prevented my line of sight from seeing beyond it with the red dot optic. With a valuable observation and lesson learned, it was on to the next rifle I went. Perhaps the most unusual rifle used for testing was my FN PS90 in short barrel configuration chambered in the mythical 5.7mm round. I say mythical because there seems to be only two sides of the fence when it comes to public opinion on its effectiveness as a viable battle rifle – either it’s the second coming of the 5.56mm in all its modern glory or it’s a plastic toy rifle shooting a rifle round that’s far too small. Personally, I love shooting the 5.7mm, especially in the PS90, but do tend to lean towards rifles that start with numbers like 7.62mm / .308. The long, blank rail that bridges across the rifle made the SPUR look even smaller than it did on other test guns. The ultra-compact design of the PS90 makes for an awkward hold when shouldering it, so I tend to center it more towards the middle of my chest to switch stances and strong to weak hand grips faster around barriers. The SPUR performed excellent on the targets, but it did seem to get lost on the horizon when bringing it up on target quickly. The thin frame of the SPUR is a “plus” in most cases, but it doesn’t offer much to catch the eye as a tube design in which I commonly use on the PS90. The second part of my day involved heading up to Callahan, Florida to the private training grounds that we affectionally call “The Swamp.” For those who follow our Swanson Media Group / 1800GunsAndAmmo.com articles and reviews, you know it offers a wide range of environments for testing from short- and long-range outdoor shooting, camping, bushcraft and hunting gear testing, not to mention a great place for shooting shotguns! 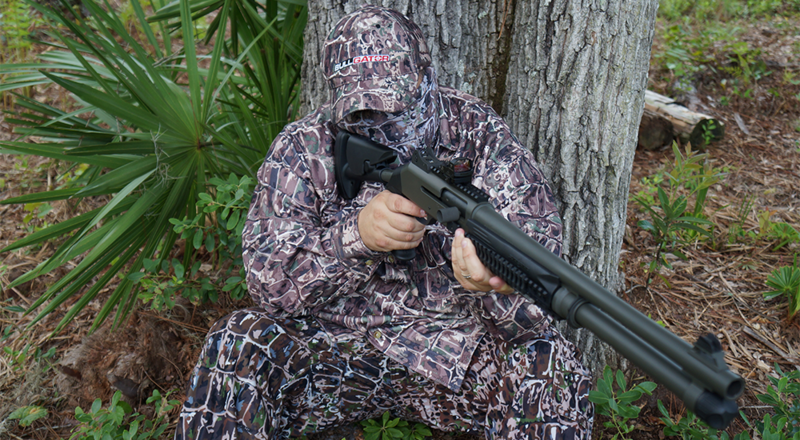 I mounted the SPUR onto one of my all-time favorite shotguns for both tactical applications and turkey hunting, the Benelli M4 using its top mounted Picatinny rail. With a few quick adjustments, I had the SPUR bore sighted and ready to test. Starting with bird shot and then switching to 00 9 pellet buck shot, I put both the Benelli and SPUR through the paces. If the optic were to fail, it would be under the shock of being shot quickly on the M4. Once all the common shotgun loads were tested, I nestled into a seated position simulating my average shooting stance on a turkey. I then loaded up the Benelli with Winchester Long Beard ammunition. This is a specialized turkey hunting load my family has been exclusively using for the past four seasons with amazing results. The average kill zone distance has been longer while shot placement has been tighter. The recoil is a bit of a trade off with the hotter load, but the big turkeys who hang up at the fringe of traditional maximum shot distances have been hitting the ground stone cold DEAD. I ran three rounds per string of fire for four sessions. The red dot was still spot on and holding in the center of the pattern. The key item I noted as soon as I got to the range was having taken the optic out of a cool, air-conditioned truck and into 93-degree temperature with very high humidity, I usually find optics to initially fog up. This was thankfully not the case with the Nikon SPUR. Nikon’s multi-coated glass with “TRUCOLOR” coating minimizes the bluish tint common to reflex sights and helps protect it from fogging up in conditions such as ours. This made me feel a lot better about taking this optic turkey hunting when the humidity and dew soak into everything during early morning hunts, not to mention the showers that pop up throughout the day throughout the season. I really enjoyed testing the Nikon P-Tactical SPUR Reflex Sight. I found the controls to be very user friendly, even while wearing shooting gloves. I enjoyed the wide field of view the SPUR reflect sight offered, and I felt it would serve well as both a sporting or self-defense firearm Having reviewed several of Nikon’s latest projects in recent years, I think the company did well with their first reflex sight to come to market. Estimated battery life with the CR1632 is quoted by Nikon at being 15,000 hours at its lowest setting. With the built-in 12-hour automatic shut off, forgetting to turn off the optic after shooting isn’t a major concern anymore. 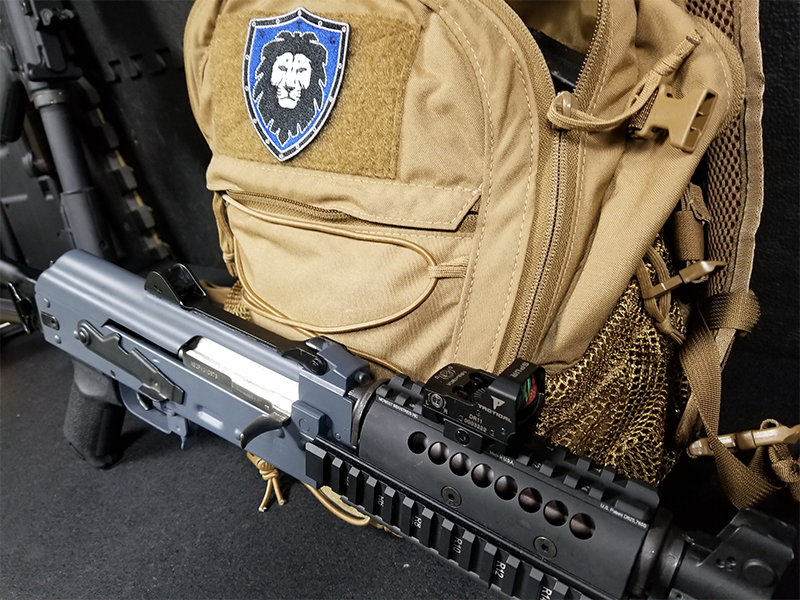 Overall, the SPUR proved to be a compact, lightweight and most importantly, very durable optic at a very budget friendly price. MSRP on the SPUR was originally listed by Nikon at $219 although, I believe this optic can be found slightly less than that currently. For the price, you get a very clear glass screen, crisp red dot and noticeably tough shockproof / limited waterproof optic body. 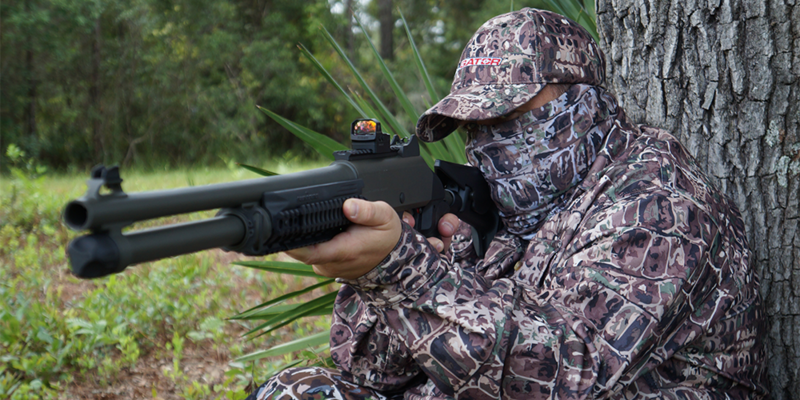 As I mentioned before, I really liked the sight mounted on both the HK SP5k and Benelli. The AK platform seemed a bit too wide open and vulnerable way out on the end of the barrel even though it performed very well. Being that close to the front sight, the AK felt like it indexed on target faster than the other rifles tested. While I don’t expect Navy SEALS and Special Forces units to be jumping out of airplanes and swimming with the Nikon SPUR on any upcoming missions, this reflex red dot is perfectly suited for realistic civilian use. Personally, I am excited to try the test unit out during next year’s turkey season with my Benelli after seeing how well it performed on the range in The Swamp. The field of view and pin point shot pattern placement were a great combination for what is required to drop a big gobbler in the field. To wrap things up, if you are looking for a solid reflex red dot sight that doesn’t break the budget, the Nikon SPUR is a great choice. This optic easily makes my top five favorite reflex sights list as a best buy currently on the market today. Special thanks to the entire On Target Sports team for making this another great T&E adventure. Till next time, remember, a product isn’t good to go until its been Swamp Tested and Swamp Reviewed! 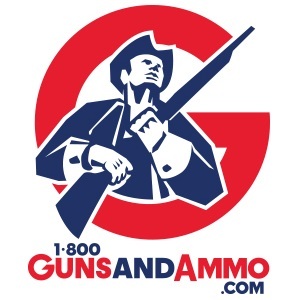 Copyright 2019 1800GunsAndAmmo.com. All Rights Reserved.